I drink several cups of coffee every day. Like most things in my life I’m very picky about the coffee and I insist on making it myself. However, on weekdays I am in the habit of getting a small cup of coffee to-go on my way to work. I rather like the form of most 10 oz paper cups. The ubiquitous “greek” coffee cups in New York are always fun to have. My coffee shop opts for unprinted white cups, and I’m happy to recommend them (Lodge General Store) by word of mouth without having to walk around with an advertisement in hand. I hate the sippy cup lids that most people prefer to the old-style tear-back flat lids of my childhood. I know that they’re ergonomic and easier to use and cut down and spills and whatnot, but I always feel somewhat infantilized by the experience of drinking from the same form as a two year old. I thought about bringing a thermos and having it filled to avoid the sippy lid, but quickly discovered that this wouldn’t help my situation one bit. Every portable bottle I’ve ever seen suffers from the same problem as the sippy lid; that is, the entire focus of the design has been given to producing the most convenient, spill safe form possible at the expense of any hint of elegance, and sophistication. There’s a good reason for this too: people don’t like to mess up their clothes when they’re drinking. There are a lot of people that fall on the flower child to astronaut style line. Neo-modernists have a lot of options, gym rats are well catered to, soccer moms, yoga practitioners, etc. will all find something. But there are a lot of us who don’t fit on that line: Edwardian pornographers, Saville Row clients, early industrial era Austrian one armed prodigal heirs, and Fred Astaire. Essentially, people who strive to maintain a state of elegance and grace in their lives and don’t accept the often implied cultural assertion that modern=designed (or is the assertion the other way around?). For years I’ve lived with this dissatisfaction, constantly searching for the right mobile beverage receptacle. 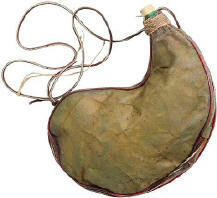 I toyed with carrying a wineskin, in protest. Practical, and a rather daring fashion statement. But not elegant exactly. I wondered why the water bottle industry had fallen down when so many other practical items in our lives have been designed to be useful while still being attractive. Umbrella’s for instance come in a wide assortment of sizes, colors, patterns, and styles, from classic to modern to futuristic. Watches, an entirely practical device until a few years ago, have always doubled as jewelry. Tea cups and saucers for goodness sake! So what’s wrong with water bottles? I started to try and design a truly elegant portable bottle. It should be decorative, but like all great decorative elements, the decoration should restate and reinforce the form, not simply be applied to it. The form should have an explicit reference to drinking and the fluid it contains. An insulated coffee or tea cup would naturally have a different design than a water bottle, the same way a champagne flute keeps the wine cold and directs the bubbles to the drinker’s lips while a brandy snifter allows you to warm the brandy while letting it aerate properly. It should look natural with a french cuff. It should be wrought in a material that is tactilely pleasing and humanizing, ceramic or glass but never plastic. For practical reasons it should be somewhat spill resistant, but need not be spill proof (like the sippy cups) because honestly, anyone who wants one of these (Fred Astaire’s ghost and me) isn’t strapping it on to a utility belt and running a marathon. And then it occurred to me: no one has ever designed an elegant water bottle because drinking while on the move is inherently inelegant. I couldn’t imagine Fred Astaire drinking out of any sort of water bottle because Mr. Astaire would naturally take the time to sit down and enjoy his beverage. Drinking on the go is like eating with your fingers: unless you’re eating asparagus, there’s no polite way to do it. Unlike the umbrella or watch, which are practical and necessary, the water bottle is an entirely unnecessary item of convenience. And this got me thinking about the nature of elegance and its relationship to convenience: A thing or an act is only elegant when its used or performed as if it was the most natural thing in the world despite the fact that its elegance isn’t in service of convenience. I don’t mean that elegance must be inconvenient, but that convenience shouldn’t even factor into it, only the flair and ease with which its used or performed. True elegance defies the impulse to define our lives by practical necessity. It suggests that there is something more than just function, that designed objects are not just “machines for X” (to paraphrase Le Corbusier). Even in my naïve days of modernist fandom I always found the axiom “form follows function” to be a little suspicious, and now I’ve managed to articulate why. I am not giving up on this portable bottle design but I’m not sure if its actually possible. The hint of impossibility typically gets me excited about a design experiment, either because I am hubristic enough to believe I can achieve the impossible or because I like to frustrate myself. In the meantime, I’m going to practice walking with a cup and saucer. Noah, this posting strikes deep in my heart. As a fervent consumer of hot caffienated beverages, I have spent long hours searching for the perfect thermos, having eventually made the same observations you so well describe here. Sadly, Chicago community colleges are not equipped with english tea houses or decent espresso bars (what is wrong with this world?). I urge you to continue your quest to design the elegant, transportable receptacle of our dreams. I have a red-lacquered bullet. It is used solely to transport my tea from home to work, as there is no way of heating water at work. I just don’t drink while I’m moving. As you said, there is no way to drink while moving without looking like a goon.